In order to solve this Case, you can either draw your own inspiration from the Scene, or go to the CSI blog and scroll to the bottom of the reveal to find lots of clues to help you. 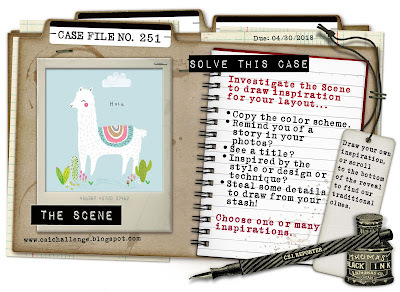 You will also find some amazing inspiration from the CSI Detectives and all our Guest Designers for this month. 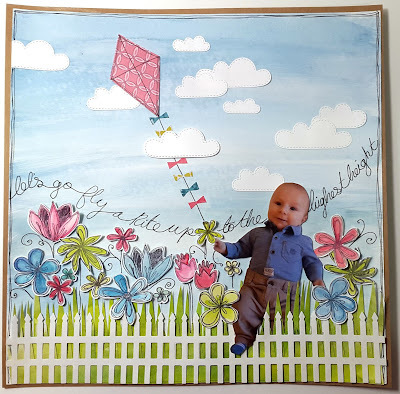 I don't have any llamas in my stash, but I loved the whimsical, hand-painted feel of the inspiration image, so I wanted to capture that in this page featuring my little step-grandson Finley. I used all the colours in the Scheme; several pieces of Evidence (included solid background, clouds, flowers and stamps; from the Testimony list, I chose to write my journaling directly on the page. Why not have a go at cracking this case yourself?! You have until the end of April, and there are lots of fab prizes to be won. Pop over to the CSI blog or find us on Facebook, for lots of inspiration. Annie, this is so adorable and whimsical! 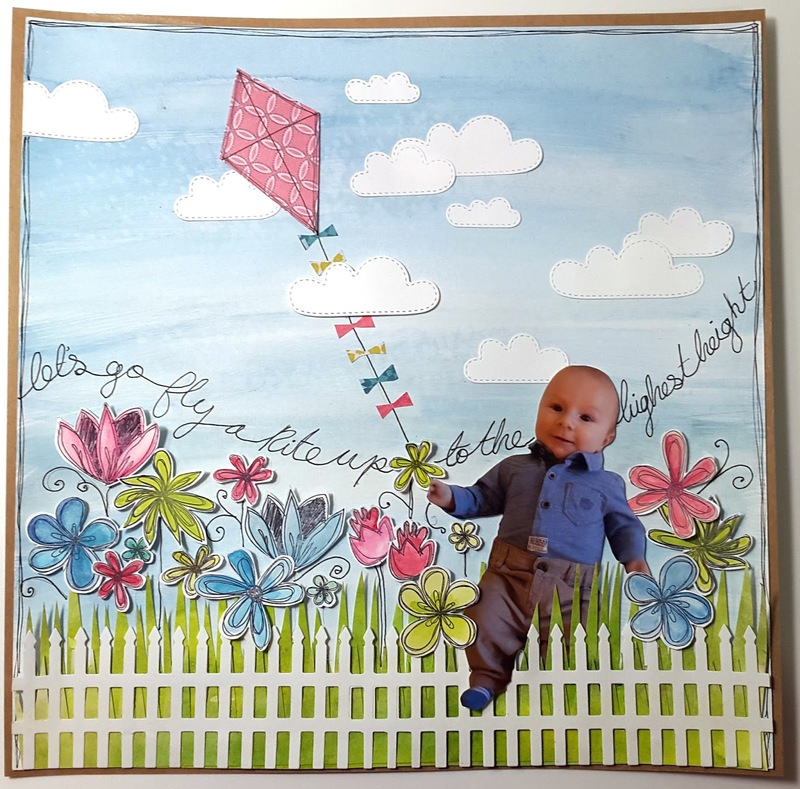 Love all your stamped flowers and the whole scene you've created here. I especially love how he's stepping over that fence! Such a clever and fun detail! I just love that fence and the photo cut out!